Mobile Indexing: With the rise of mobile phone use and with more than 60% searches coming from mobiles, businesses can no longer ignore it. In 2019 Google will most likely have a mobile-first index meaning that ranking of websites will be done on the mobile version of their content. Linkless Backlinks: One of the ways that Google has started to gauge a websites credibility is by backlinks, mentioning of the website on other sites. 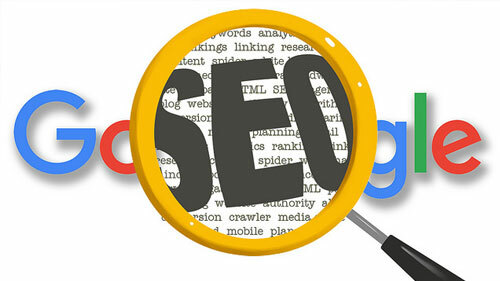 It is key to remember that quality is better than quantity here and rather than building countless backlinks through unknown or shady websites, it is better to do it with one that is trusted. This trend is expected to stay big in this year as well. Voice Search Optimization: More and more people are opting to speak into their mobile phones to search, rather than typing the question. With the sales of smart speakers on the rise, this trend is only going to stick around for much longer. This changes the way people are searching, allowing for new keywords to be incorporated in the content. Changes need to be made to content by placing more conversationalist phrases in order to remain visible in search. Speed is the New King: Loading time is not only important in ranking but also critical because of its impact on user experience. Improving the user experience should be a top priority for your website. Mobile users now have shorter attention spans and patience than even before and expect the page to be loaded within 3 seconds. Ensure that your website loads fast by taking a speed test (can be done through google) and then working on areas marked as problematic. Guest Posts Are A thing of the Past: More and more websites were using articles in order to lure traffic to their website. However, last year Google warned that this is against guidelines and can be penalized. Unless the article actually help the user, there is no need for it. Beyond Google: Even though Google remains the preferred search engine, people are using sites like Amazon, Yelp etc and businesses are now targeting them as well to stay on top of the ranking. Customized Content: With more and more tools available to ascertain users likes, Google is making the search results more personalized. The results are no longer generic but depend on individuals’ history, cookies, location etc. If you need millions of visitors to your website, sign up to our traffic exchange today at https://www.10khits.com/signup.